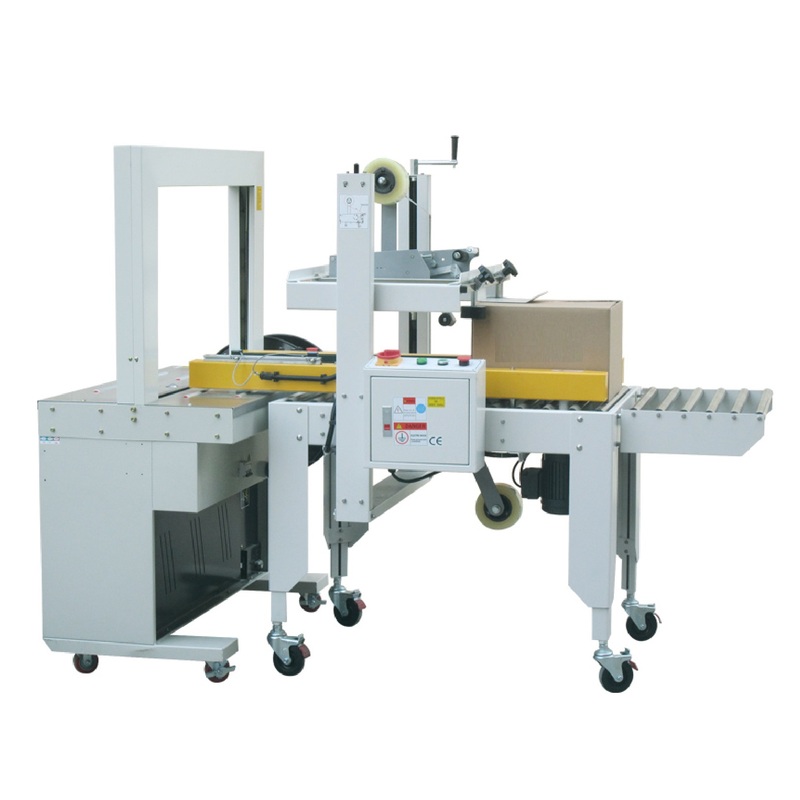 The Automatic sealing and strapping machine is a packing machine which integrates the function of sealing (tape) and strapping cartons automatically. Sealing and strapping can be operated at the same time, high speed, high efficiency and place saving. The machine is controlled by PLC.